It is critical to maintain healthy skin to prevent sun damage, maintain a youthful glow and slow the aging process. Several regimens are available that combine a cleanser, moisturizer, an exfoliant and a sunscreen. Retin-A, also known generically as retinoic acid or tretinoin, is a vitamin A derivative, which has become an important component of skin care and maintenance therapy. It improves cell turnover and skin remodeling and shrinks the dilated pores. It has been shown to cause significant improvement in photodamaged skin. When you arrive for a facial rejuvenation consult in our office, skin evaluation will be performed and skin care recommendations will be provided. 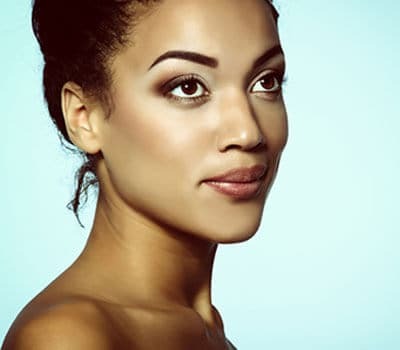 If you are a good candidate for skin resurfacing or a surgical procedure like facelift, we will still recommend that you start on a skin care regimen to prepare your skin for the maximal benefit from the procedure and maintain your results afterwards. Our office carries product lines that are available exclusively through physicians. A certified esthetician is also available for skin care consultation and facial treatments. If you’d like to schedule a consultation with Dr. Alghoul to discuss skin care recommendations, please call (312) 695-3654. In addition to offer skin care products, Dr. Alghoul performs advanced skin care treatments, including dermabrasion, chemical peels and more.